It can be very overwhelming to deal with a loss of a loved one. 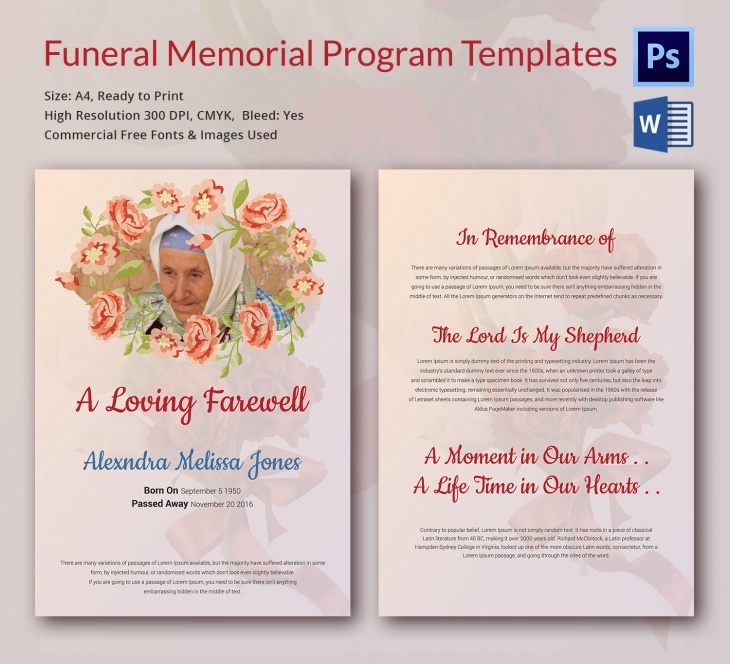 To pull together a funeral memorial program can be a very emotional job and not many people like having to deal with that as they deal with the loss, as well. That is why it is best to use a template for such program as it simplifies the process. 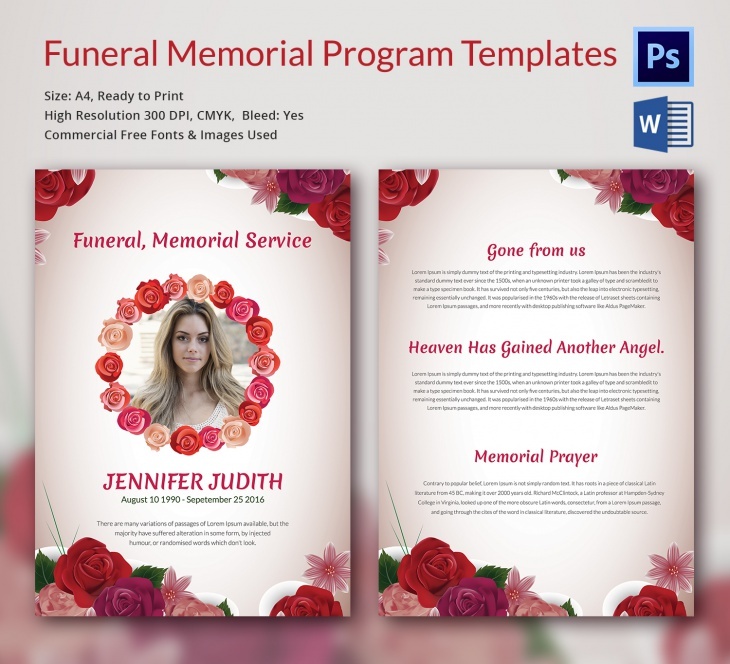 A funeral memorial program template is ready to use and it eliminates the need to create a program from scratch. The words “In Loving Memory” indicate that the deceased person was indeed loved and cherished. The messages let everyone know that goodbyes are not needed, as the memory will always stay in the hearts of the bereaved family and friends. The flowery design in white background provides a nice backdrop for the image and the words. By using the words “Celebation of Life” the bereaved family is inviting friends and relatives to join them in remembering the joyous life led by their deceased loved one. The space for the image is circular and surrounded with colorful background, indicating that the life to be celebrated was indeed a colorful one. 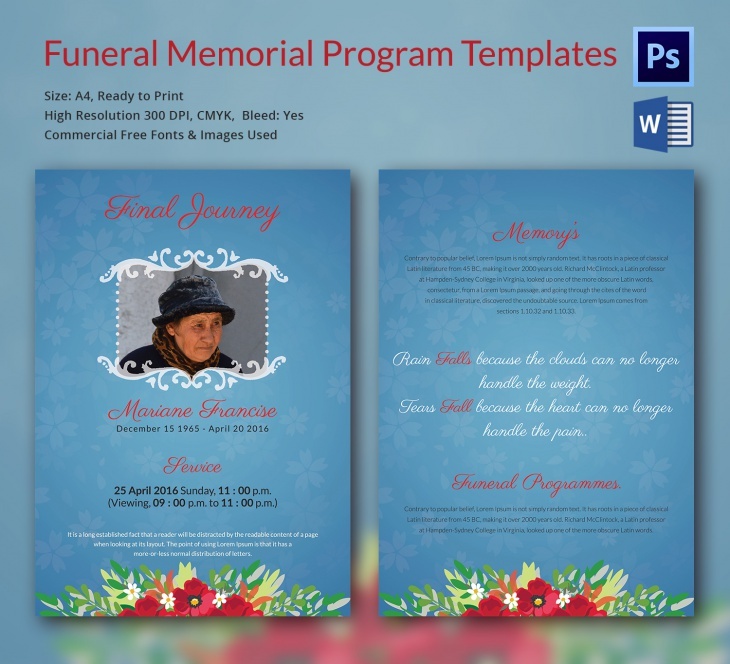 A loving farewell can be expressed through this funeral memorial program template. The image of your loved one will be surrounded by pretty flowers, representing a beautiful life led. A small prayer is followed by the meaningful “A Moment In Our Arms… A Life Time In Our Hearts” indicating that the farewell is temporary. This template is created in blue background, portraying a solemn mood. The heading “Final Journey” is an indication that family and friends are sending off the deceased loved one with their love as the memories stay with them. This template is ideal for someone who passed away at a young age. The background is done in floral design, making it a program for celebration of short yet fulfilling life led. The loved one may have been gone, but the memory remains. 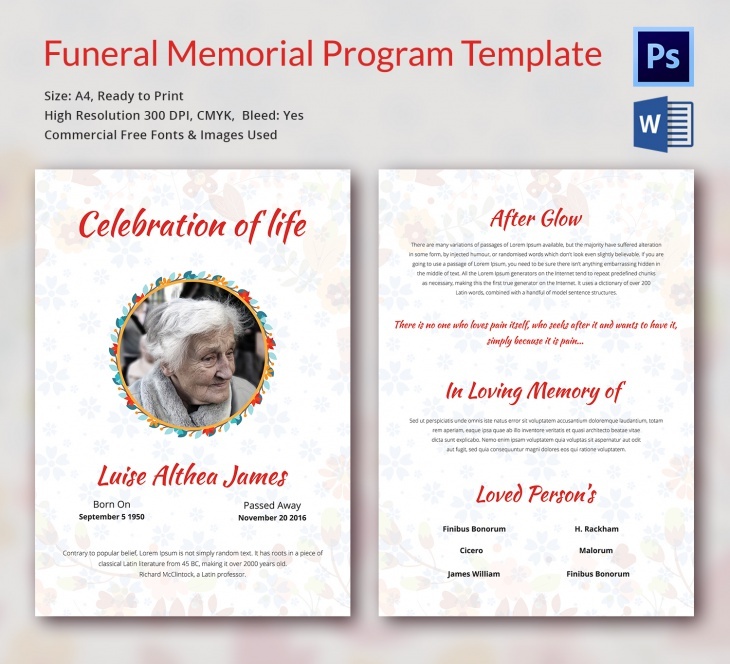 By using a funeral memorial program template, the bereaved loved ones would not have to go through the hassles of planning, designing and creating the program. 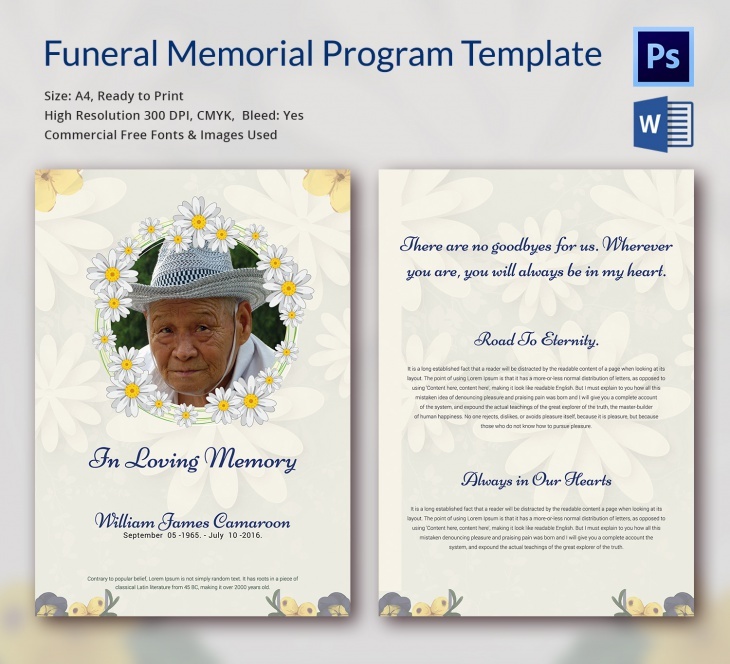 These templates are editable, so you can easily replace the image through PhotoShop and the words or name through Word app. The different designs allow you to chose the most ideal one for your loved one.